I was going to just add it to my previous post but apparently I could not edit it. Part 4b will be up soon as well. 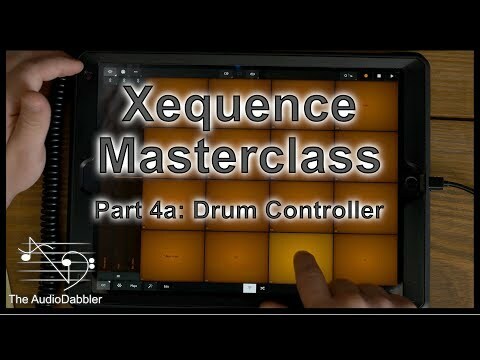 Xequence is an impressive App, that constantly get's better. "There is something in the flow of this app that is counter intuitive for my brain in particular." That said, I appreciate you taking the time to educate us @gmslayton ! Great idea Rodolfo! About mapping midi to transport. @gmslayton Awesome series! Saw them a while back to get an idea about Xequence and bought it instantly after watching it. Definitely my favorite sequencing app (I hate everything else and always stayed away from sequencing on pc or iOS). So easy and precise... it’s just perfection. It’s closer to being a daw than some apps that claim to be DAWs lol. All my projects are neatly organized in folders too.